Jugular Presents: Dialogue - Machine vs Machine: Should AI be Human? 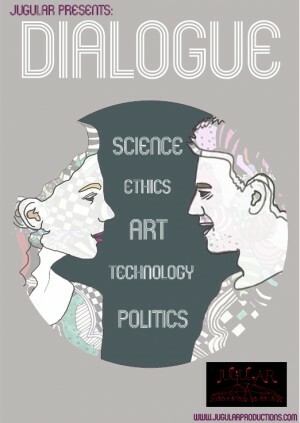 Come join this months Dialogue: An evening of inspired talks and discussion bringing together experts from across Science, Culture, Technology, Ethics and Politics and YOU! Drink, listen, talk and become part of a truly cross disciplinary salon in which we explore 'Artificial Intelligence'. If we continue to develop and research ‘Artificial Intelligence’, humans could eventually create machines that think and feel like we do. If we accept that our thoughts are simply the firing of neurons, then should we also accept that the mind IS the physical brain? Would this also imply that humans are nothing but incredibly sophisticated machines? This might unsettle our self-perception of uniqueness and the very foundations of our moral codes and human rights. Perhaps then, we need to dig even deeper and ask ourselves the question, artificially or not, what does it even mean to possess ‘intelligence’ or ‘consciousness’? How appropriate is the Turing test for comparing and contrasting machine and human qualities or do we need to identify new measures to take it further? Optimists argue AI could be an utopian symbiotic solution to the world’s greatest needs, a learning system that foresees the future far better than we do. Should we design AI to have human-like qualities or bypass emotional subjectivity to become a more ‘rational’ utilitarian mirror reflecting our interests? Beyond replicating ourselves, what of the potential of AI to evolve? We can imagine artificial intelligences with sensors and intellectual capabilities profoundly different (and potentially greater) than ours, for example seeing far beyond our limited visual spectrum of electromagnetic radiation, or thinking billions of times faster than us. Yet never far from the surface are worries that unchecked learning could lead to manifold dystopian outcomes, immortalised in sci-fi through the horror classic ‘Frankenstein’, or modernised in recent cinema with the bittersweet ‘Ex Machina’ or the urgently practical moral questions being raised by imminent driverless cars. Friend or foe – join us as we decode the hype surrounding A.I., and delve into the philosophical hard problem of consciousness, before discussing the ethics and current applications of artificially intelligent systems.